Do you have a plan for a long trip to a different state or different country? Then the first thing comes in mind what you will carry with you and how to carry them without any hassle. Well, there are different types of bags which you can use to carry all your stuff. But the best way is to use a trolley bag. They have an ample space and easy to carry anywhere on the wheels and the pulling handle. But if you don’t know what are the “best trolley bags in India 2019,” then it’s hard to choose the best one for you. That is why today I am going to share the list of top rated trolley bags of India with reviews. Struggling to find the best carry-on trolley bag for your regular usages? Then check the features of this American tourist 55 cms luggage. It has the gun metal construction with polycarbonate material. So, you can use it for a long time. There is enough room in the bag to carry all your things. This is the best trolley bag for business tours. Easy to move the trolley on its wheels. Also, there is a pulling handle for effortless carrying. Two different compartments are available. Comes with number lock for the safety. Weight is only 2.6 kilograms, and volume capacity is 44 liters. 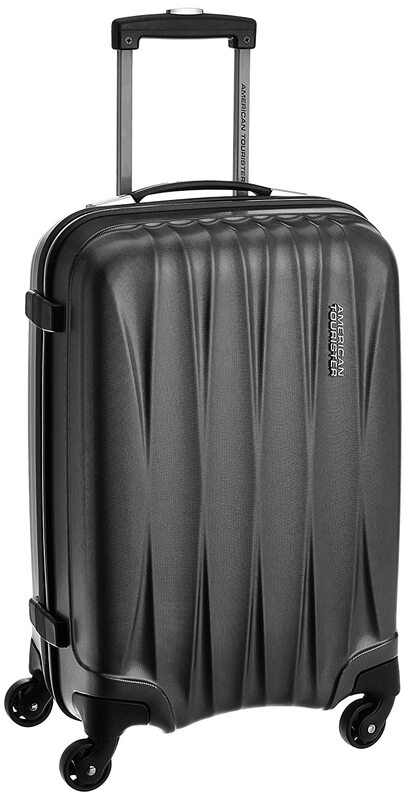 This model of the brand’s four-wheeled trolley bag has ABS, with the black outer material being a hard casing. That means it is both wear resistance and waterproof, an aspect that should keep your mind at ease when traveling in any weather. It weighs 3600 grams with 84-liter capacity and has two compartments. This latter feature makes it for a neater packing experience. The dimensions (in centimeters) are 48 x 30 x 70. Overall, the suitcase is light and has a unique design guaranteed to make you stand out. The locking system is a number lock for added security. 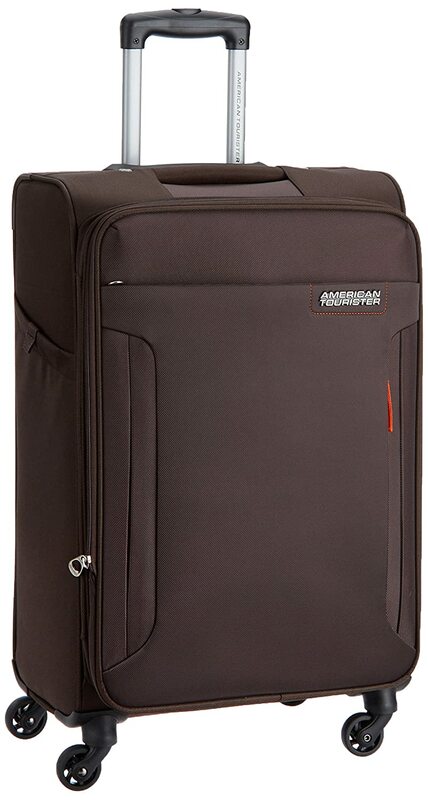 This model of the American Tourister on our top 10 trolley bags brands in India also has retractable handles, with padded handles at the top and the side of the trolley bag. Though this trolley is ideal for any travel, it is not compatible for carrying laptops, something you should be mindful of. The bag, however, has a three-year international warranty that is valid in 100 countries. This brand in our best trolley bags in India list has three pieces of uniquely designed trolley bags in varying sizes to accommodate whatever your travel duration is. The dimensions are 55 cm for the small one, weighing 2900 grams; the medium is 64 cm and weighs 3950 grams, and lastly, the largest is 73.5 cm and weighs 4900 grams. The bags are available in multiple colors: navy blue, black, brown, gray, sapphire blue, red and aqua blue. The outer material is 100% Poly Propylene which makes it resistance to breaking or cracking, providing more than adequate protection to your luggage. Additionally, the interior is fully lined with a hardy divider, with a hinge pocket, zipped mesh pockets and cross elastic straps for easy organization of whatever you’re taking with you. The wheels are quite unique in that they are comprised of eight silent spinner wheels with the added feature of 360-degree rotation. This combination makes for effortless mobility. This Nasher trolley bag has an inbuilt TSA lock, providing that extra security for when you do check-in your belongings. This feature makes it a textbook for international travel. It also comes with a limited lifetime warranty that’s against all manufacturing defects. Eight silent spinner wheels with 360-degree rotation. This trolley bag is designed differently from the other Safari item on the list. It has indented geometrical shapes for a unique look. The hard casing is made of polycarbonate. It comes in there colors: purple, red and teal. It however only has one compartment. The material is wear and water resistant, making it a suitable any-weather companion. The capacity of this bag is 82 litters and weighs 3650 grams. The dimensions in centimeters are 65 x 28 x 46. 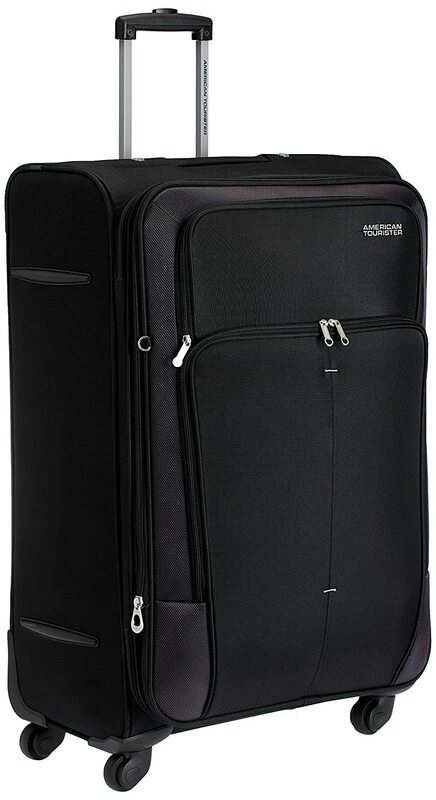 That makes it one of the largest trolley bags on this best trolley bags in India 2019 review. It has on four wheels and a number lock security feature. You’ll also find a retractable handle along with top and side handles. Putting your laptop inside is not advisable. The brand does also offer a five-year international warranty on this model. 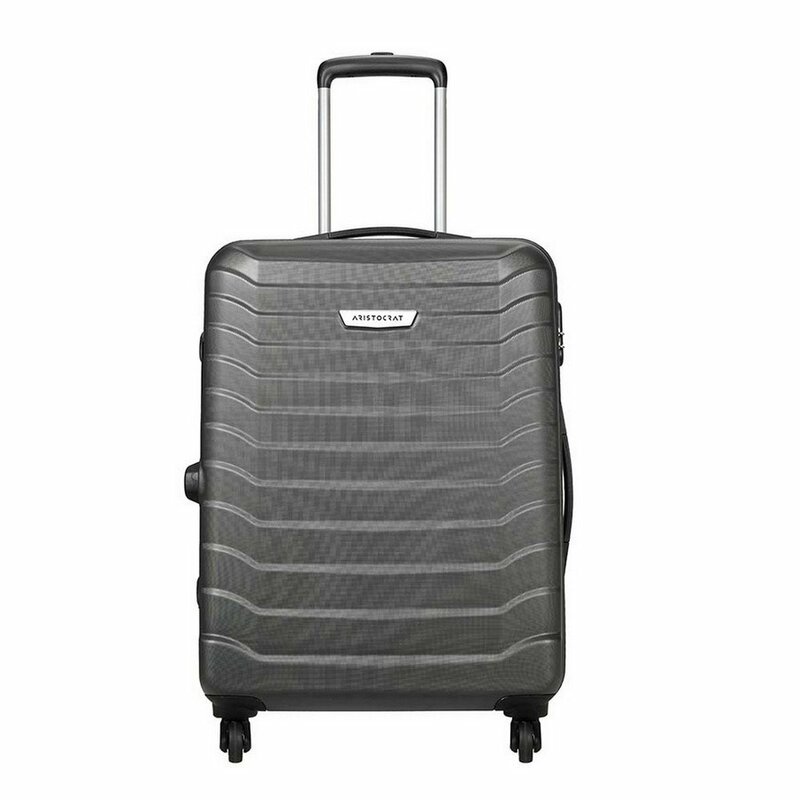 This bag is another American Tourister on our list of best trolley bags in India. The exterior is made from polyester and comes in the color chocolate brown. The material used does not make it water resistant and therefore something to be mindful of when traveling. Of the other two in the list mentioned, this one has the capacity of 70 liters and is the larger version of the 29.6 liters capacity bag. The dimensions in centimeters are 68.0 x 48.40 x 30 and weighs in at 3400 grams. Just like the smaller version, it has a number combination lock that’s inbuilt, two compartments and four wheels. You’re not advised to place your laptop inside when traveling. It also has a three-year international warranty. It is larger, and therefore it means that you’ll have to check it in when traveling. If you are struggling with the budget, should pick this 55 cms trolley bag. The primary material of the bag is polycarbonate. This is a compact bag which is easy to carry. It comes with an extended height adjustable handle for pulling. Also, there are durable wheels for easy move. There are two compartments in the bag. It is best for personal usages. The volume capacity of the luggage is 44 liters. It comes with number lock to keep your stuff secure. Its structure has hard shell construction. 3-years warranty is available from the manufacturer. This luggage bag comes with polyester material. There are several compartments in the bag to carry different stuff. In the main compartment, you can carry your clothes and shoes. The small pockets allow the user to take small accessories such as a watch, sun glass, headphone, etc. There are also some pockets in the top for last moment packing. Wheels included for easy maneuver in different surfaces. It is enough to carry accessories of two people. The combination of rich and shiny polyester fabrics. Sturdy 360-degree wheels for easy maneuver. Volume capacity is 99 liters. Its weight is only 4.1 kilograms. Fixed combination lock for the security. Smooth zippers for faster access to the bag. Need to carry your stuff with the safety? Do you take some valuable things with you regularly? Then this Safari trolley bag can be a good choice. Its number lock is easy to use, and no one can break the combination. Excellent construction with polycarbonate outer material and fabric inside material. It comes with hard casing, and you can stay secure about the durability. Wheels are durable enough to take a heavy load. Also, the pulling handle is adaptable to suit various person. The maximum volume capacity is 82 liters. The product weight is only 3.75 kilograms. Smooth and stronger zippers for easy access to the stuff. Highly durable for the longevity. We have a brand from AmazonBasics. It comes in three colors: light blue, black, and navy blue. The outer casing is hard-sided with a protective hard shell made with a scratch resistant finish. The bag works excellently for trips that last more than a week. It is 28 inches (71.2 cm) in length, making it among the largest on this list. 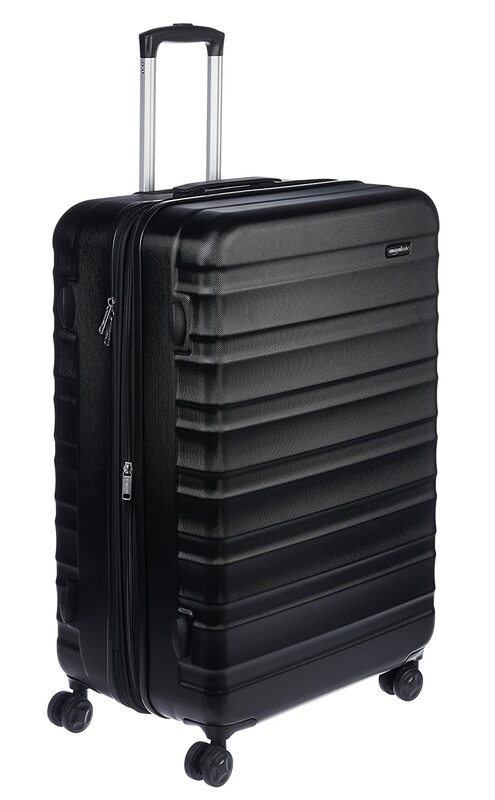 The trolley bag has an extra-thick ABS that gives it enhanced durability and strength. Inside, it has a lined interior along with a handy divider. There’s also a zippered pocket that makes for easy organizing, something that’s important for extended trips. If you need to be away for long or aren’t exactly a light packer, there is an expandable feature that gives you additional capacity of up to 15%. That means you’ll have some space for souvenirs or new items when coming back from your travels. It has a telescoping handle and four-wheel spinners that give you smooth-rolling mobility to take in any direction. The bag comes complete with a one-year limited warranty. This trolley bag, unlike those on this best trolley bags in India 2019, doesn’t include a lock. You’ll have to purchase it separately. 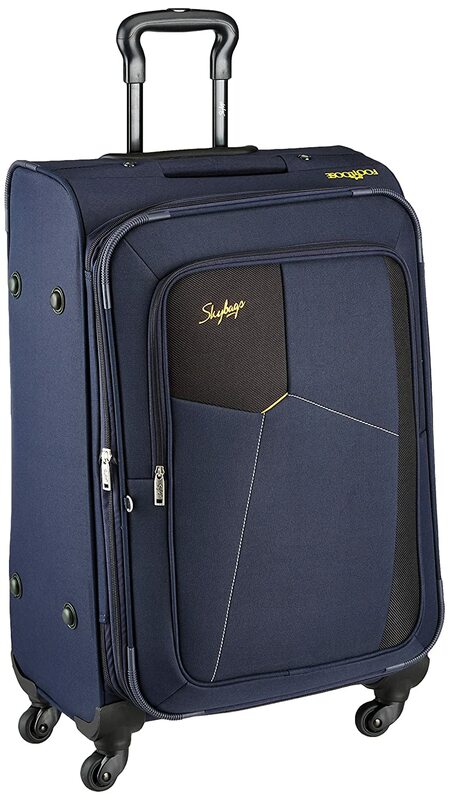 This Skybags brand is the best trolley bags brands. 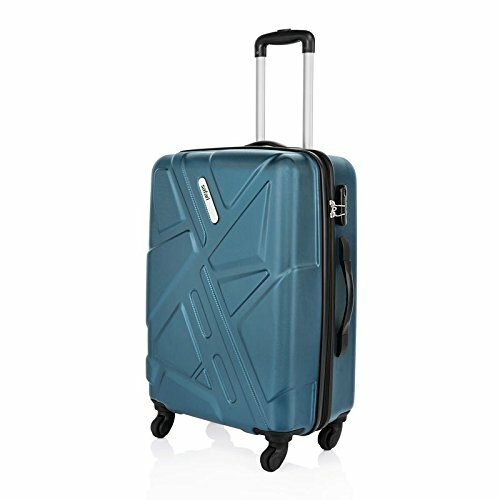 The outer material of this trolley bag is polyester with a soft casing and comes in the color blue. The polyester fabric is shiny as well as durable and long-lasting. Though that’s the reality, as with such bags, you have to be more careful as there will be wear if not handled with care. It has a retractable handle and side and top handles. It weighs 3800 grams with a capacity of 43 liters. The dimensions in centimeters are 37 x 31 x 58. That makes it ideal for a two-day trip, and if you’re a light packer, four days. This push button trolley has four smooth wheels that can make a 360-degree rotation for excellent maneuverability. This bag only one compartment though it has an expander feature that allows you to pack extra items and make it extra spacious. This trolley bag also comes with a combination number lock in place to protect your belongings. It is however not laptop-compatible; you want to put that in your carry-on bag instead. Last on our review is this hard casing polycarbonate bag by Aristocrat Juke. The surface of it is scratch resistance, and that means it’ll look newer for longer. It is available in the colors grey and blue. It has the capacity of 52 liters and weighs in at 3180 grams. Dimensions in centimeters are 47.5 x 25.5 x 65. This trolley bag allows for double-sided packing; one side has a crisscross elastic band while the other has a cover that you zip over. That makes it ideal for organized packing and even allowing one side to be for used clothing. The security feature it comes with is a number lock. It otherwise has four wheels, a retractable handle, and a top and side handle. With it, you get five years manufacturer warranty that’s non-transferable and valid from the date of purchase. If you have read this article thoroughly, now you have a clear concept what are the best trolley bags in India 2019. Now, identify your requirement and pick any from the above list. However, if you are planning to purchase the luggage for family usage, then the Safari DNA Poly carbonate is best. 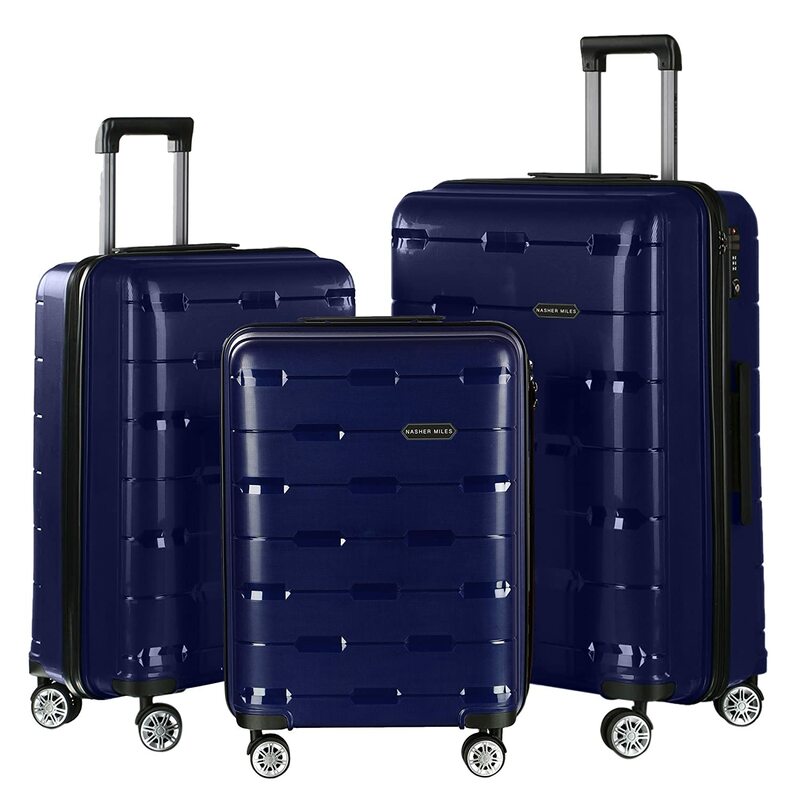 Again, for personal usages, the American Tourister polycarbonate 55 cms midnight blue carry-on bag is recommended. Each product of this list has a warranty so that you can stay secure about the quality. For the best deal, compare between products to pick the best one. This is the most popular form of bags for the travelers. If you want to carry most of your necessary things with you, this is the best type. Though they have some limitations and restrictions, but it is enough for a single person. Each airline has the facility to carry some personal baggage with you. You can carry a purse, the laptop bag or some other stuff. But you need to make sure that it will accommodate under the airplane seat. They come with small dimension and price is also affordable for all. 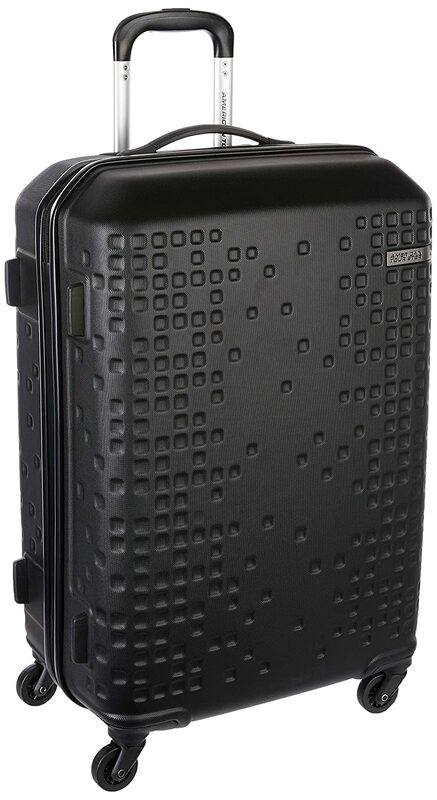 The style of this type is similar to carry-on luggage, but they have more space. They are durable and come with wheels to move on different surfaces without any annoyance. If you are planning to go for a trip with your partner, this is the best. However, these products have more weight than a carry-on style. For a family trip to a long-distance place, you need to carry a lot of things. If you want to carry all stuff in one bag, then this style is for you. The user can carry clothes, shoes and all most all stuff in it. They have wheels to move with less effort. Though they are bulky, as you will carry only one bag, so they are preferable. How to choose the right laptop bag.